In those days of one hundred years ago, Grose Vale was known as South Kurrajong. The main road, Bells Line of Road, twisted it’s way from the North, down through Wheeney (which was then the main part of the village of Kurrajong) then up past the point where the South Kurrajong Road (now known as Grose Vale Road) joined it. 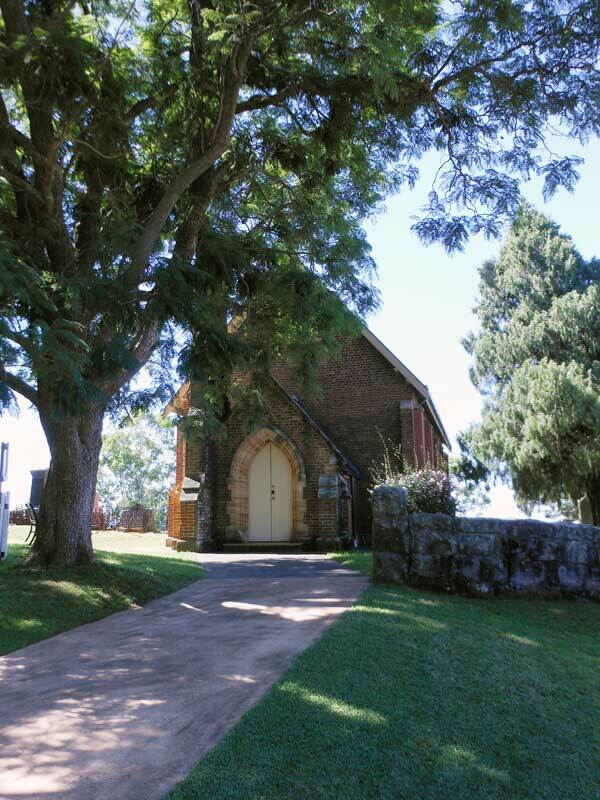 St Stephen’s Church, then, is on what used to be known as South Kurrajong Road. The Foundation Stone of the Church was laid by the Right Rev Frederick Barker, D.D., Bishop of Sydney, during a ceremony commencing at 12 noon on Wednesday, 26th August, 1868. After the ceremony 270 people sat down to a luncheon provided in a booth which was probably erected for the purpose. After lunch the Bishop presided at a public meeting held in the open air. 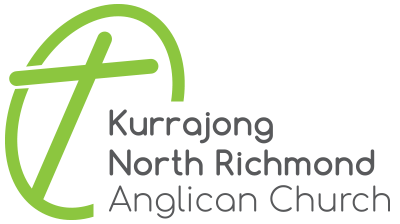 The Bishop “pointed out the value of the Church to the residents, and the necessity for its completion in a liberal and generous spirit.” He then called upon Rev G. A.C. Innes, who was working in Kurrajong, under the Rector of Richmond, of which parish Kurrajong was part, to move the following resolution: “That it is desirable that immediate steps be taken for the completion of the Church, and this meeting pledges itself to use its best efforts for this purpose.” This resolution was carried unanimously, and apparently it was acted upon with enthusiasm. The completed Church (except for the porch and belfry) was ready for the first service on the 15th April, 1869, which was held on a Thursday morning at 11am. The prayers were read by the incumbent (Rector of Richmond), Rev John Elder. The sermon was preached by Rev Thomas Kemmis, from the text, “What mean ye by this service?” (Exodus 12:26). “After the service the congregation, which was larger than could have been expected, the weather being most unfavourable, partook of luncheon in a tent erected near the Church.” The Bishop was unable to be present at the opening Service due to the meeting of the diocesan Synod. Nothing has been found to indicate the date of the erection of the porch and belfry. However, judging by the appearance of the brick work and stone work, they must have come fairly soon after the main building. The beautiful sketch on this brochure shows these additions to advantage and has captured something of the loveliness of this old Church. The side-on placing of the belfry is considered to be unique. St Stephen’s was separated from the Richmond parish in 1873, and Rev George Middleton was the first Rector. This article is reproduced from the printed invitation to the Celebrations for St Stephen’s Centenary in 1969. Since then, a modern Christian Education Centre has also been erected. This building has been used for regular Sunday services, as the older building was too small, and at times, impractical for some activities. In addition, St Stephen’s was colonised by hundreds of micro bats, who made a considerable mess and potential health hazard with their droppings. In 2000 maintenance and restoration work was carried out, which successfully excluded the bats. 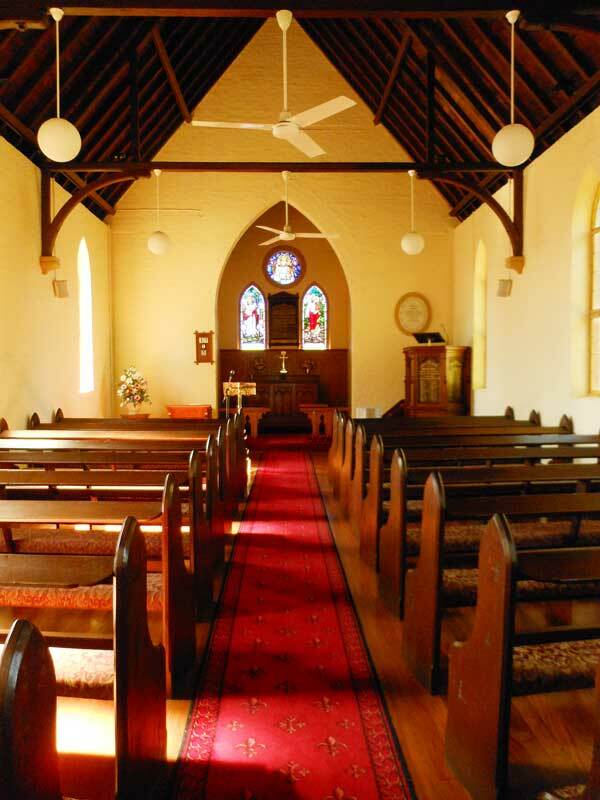 Careful attention was paid to internal painting, woodwork and original furniture in this historic church building. St Stephen’s recommenced regular services in 2001, with a traditional prayer book style of service at 8:00am every Sunday. Our family service at 10am and our youth oriented service at 7:00pm continue in the modern building. 1. Prior to 1873 AD, marriages, baptisms, and burials from this parish were registered at St. Peter’s, Richmond. 2. Since that time, all such registers were kept in this parish (by many people, and with varying degrees of efficiency). However, over a period, vermin destroyed many of the records. 4. We regret, that owing to their age and condition, the original documents are not available to the public. 5. A previous Rector, Rev Neil Prott, did a superb job compiling a computer database of cemetery information, from church funeral registers and various other sources. We welcome any information which might enable us to correct or update our records. We may be able to offer limited help in locating the site of particular graves and other associated information. 6. If further information is required, it might be available from the N.S.W. Registry of Births Deaths and Marriages in Sydney. Please contact Shaun McGregor with any enquiries. Both these historic cemeteries date back till the 19th century AD. Many people have family connections or other reasons for interest in these cemeteries. 1. Both these cemeteries fall within the Anglican Parish of Kurrajong. The cemetery records have been kept by many people since the 1800s, and with varying degrees of efficiency. The Parish’s previous Rector, Rev Neil Prott, did a superb job compiling a computer database of cemetery information, from church funeral registers and various other sources. We can provide limited help in locating the site of particular graves and other associated information. We welcome any information which might enable us to correct or update our records. 2. With no funds for cemetery maintenance, a significant burden falls on the few church volunteers and relatives who take an interest. Thus, in order to limit growth in the amount of upkeep required in the years ahead, it was decided, at different points in the 1970s, to close both cemeteries. 3. The cemeteries were only closed after public notices were placed in the local papers. At that time, interested people were invited to buy plots. Since then, no new plots have been sold and further sales cannot be transacted. However, burials will occur in the cemeteries for some time to come, since a number of previously sold plots are still to be used by the owners. 4.The Richmond Lawn Cemetery is the recommended alternative for burials. 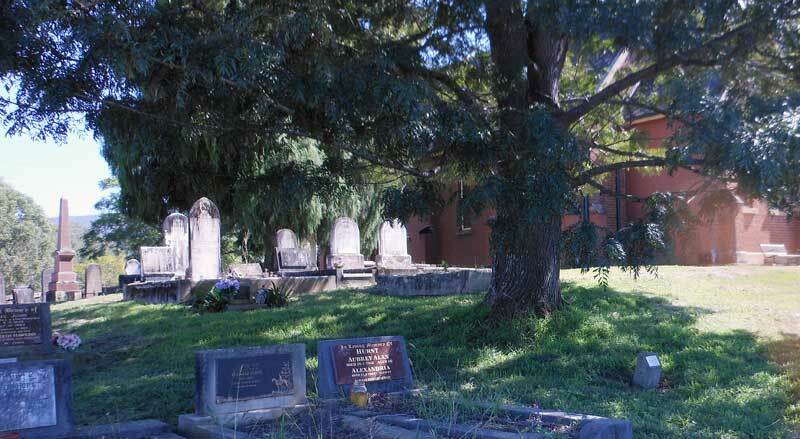 The Columbarium at St Stephen’s, Kurrajong, does not have any niches remaining for sale, and it is not envisaged that this facility will be enlarged any further. 5. Burials can still be arranged in our cemeteries, only in cases where previous ownership of unused plots can be satisfactorily established. 6.Normally, a second burial cannot be arranged in the space, where a previous burial has occurred. Since almost no graves were ever dug to double depth, a second burial must either disturb remains, or be too shallow to meet regulations. 8.The cemeteries are administered by Trustees. No interments, alterations, additions, or repairs may be undertaken without their prior permission. All monumental work, including the addition of plaques, must be approved before commencement. Application should contain a full description of the work to be undertaken, together with complete details of any proposed inscription. 9.The transfer of earth from one place to another, or the planting of trees, shrubs, roses, etc, is not permitted. Ordinary upkeep such as mowing, weeding, clipping and trimming needs no permission.